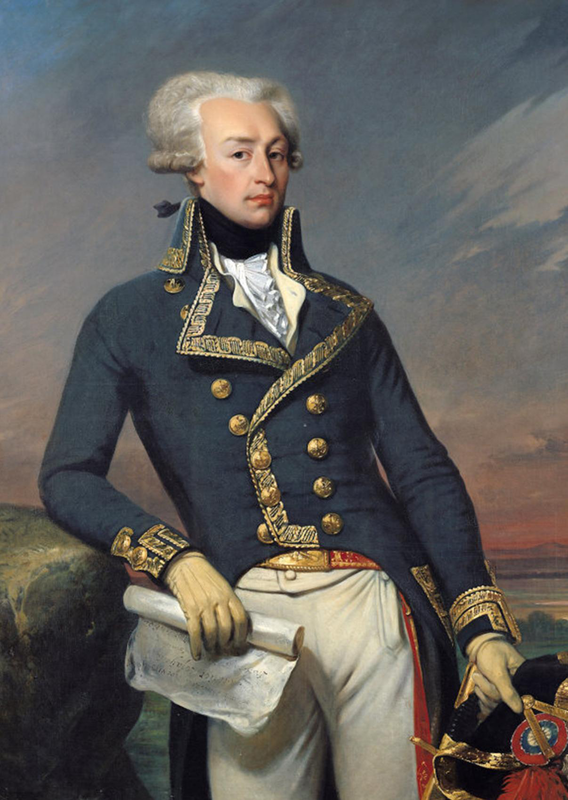 General Lafayette, on his visit to America in 1824-25, spent the early days of April, 1825, in what is the State of Alabama. 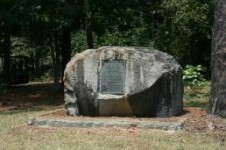 He entered the Creek Nation, at Fort Mitchell, on the Chattahoochee, in Russell County, traversed the Old Federal Road as far as Mount Meigs, detoured to include the village of Montgomery in his itinerary, and taking the boat here, visited Cahaba, the State Capital, thence proceeded by boat to Mobile, Alabama. He was met at Fort Mitchell by General William Taylor, the senior Major-General in the State militia, with two troops of volunteers, the Montgomery troop under command of James Abercrombie, and the Monroe troop under command of Brigadier General Moore. Brigadier General Thomas Woodward was senior brigadier in charge and commanded until the arrival in the Creek Nation. 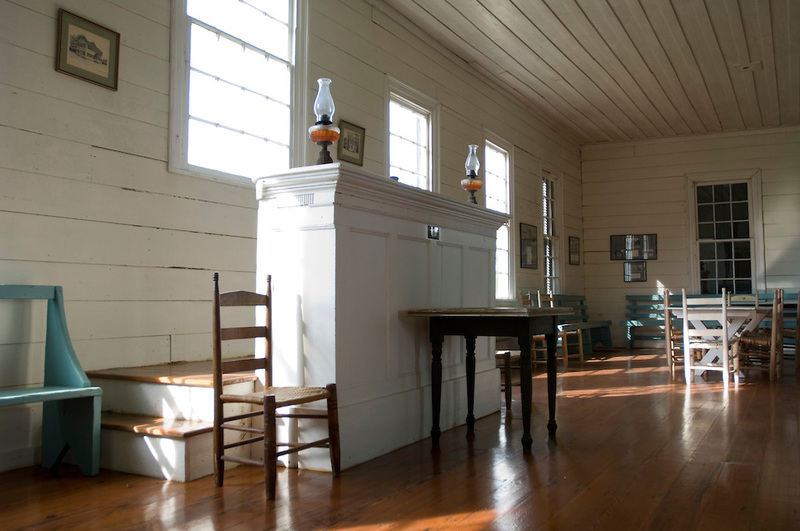 In the reception party, which was compelled to wait several days before the arrival of the Georgians on the bank of the Chattahoochee opposite Fort Mitchell, were, in addition to the military and a large contingent of Indians, many citizens of the new State, among them Bolling Hall, Member of Congress, Governor Murphy, John D. Bibb, Colonel Freeman, and Colonel James Johnston. 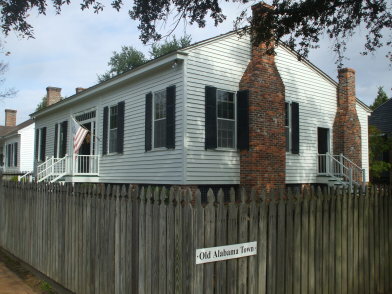 The headquarters of the Alabama delegation was at Haynes Crabtree’s house, on Big Uchee Creek, three or four miles west of Fort Mitchell. The Georgians, who had escorted the General through their State, on the arrival at the river turned him over to the Indian delegation, under Chily Mclntosh, composed of fifty naked painted warriors, who ferried him across the river, and seizing the sulky in which he rode dragged him to the top of the bank, some eighty yards, and delivered him to the Alabama delegation. Chily Mclntosh introduced him to Mr. Hall, who welcomed him to Alabama. John Dandridge Bibb made the principal address of the occasion, and after these formalities they repaired to Fort Mitchell, one mile away, at the top of the hill. 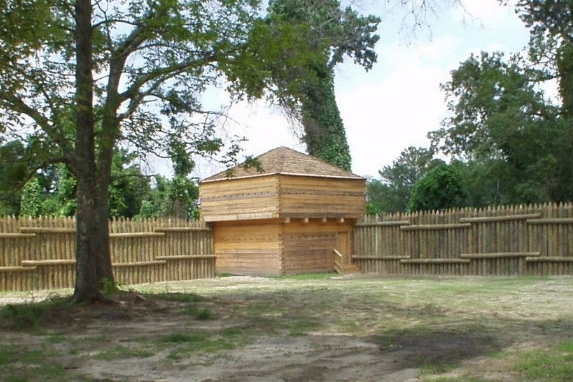 A stay of one day was made at Fort Mitchell, when the party proceeded through the Nation, making a two day trip to Line Creek, then the Alabama state line. 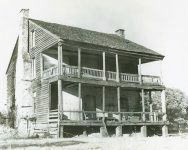 The first night was spent at the home of Kendall Lewis at Fort Bainbridge on the Russell County line. Mr. Lewis, formerly a Captain in the United States Army, who had married an Indian woman, had amassed some property and entertained in lavish style. 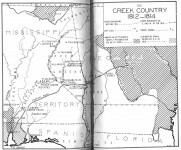 They arrived the next evening at Line Creek, which was crossed, and spent the night at the home of Walter B. Lucas, on the present Montgomery to Tuskegee Highway, and about midway between the town of Waugh and Line Creek. 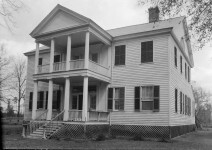 The party left the Lucas home on the morning of April 3, reaching Montgomery early in the day, and were received on Capitol Hill, at the point where the Lafayette School of the city of Montgomery now stands. They were welcomed by Governor Israel Pickens, who had come up from Cahaba, and the greatest concourse of people ever assembled in Montgomery up to that time. The Montgomery delegation was headed by Colonel Arthur Hayne, a soldier of the war of 1813. 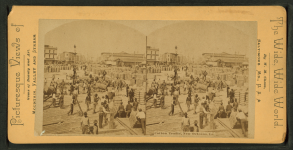 After a day spent in Montgomery, followed by a ball that evening at a tavern which occupied the southwest corner of Tallapoosa and Commerce Streets. At two o’clock oil the following morning the party embarked on the Steamboat Anderson down the Alabama River, arriving that night at Cahaba. 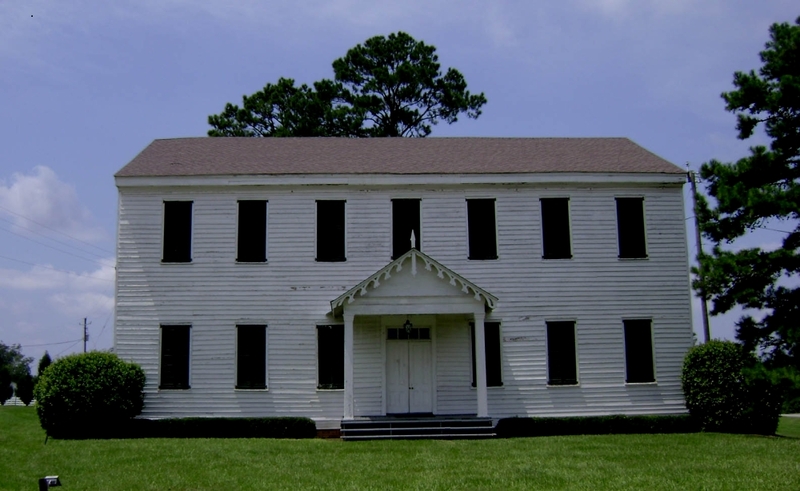 The official entertainment by the State took place here, and among the guests at the banquet tendered the General, were a number of his countrymen whom political events had caused to leave France, and who now were a part of the colony at Demopolis, in later years referred to as the Vine and Olive Colony. 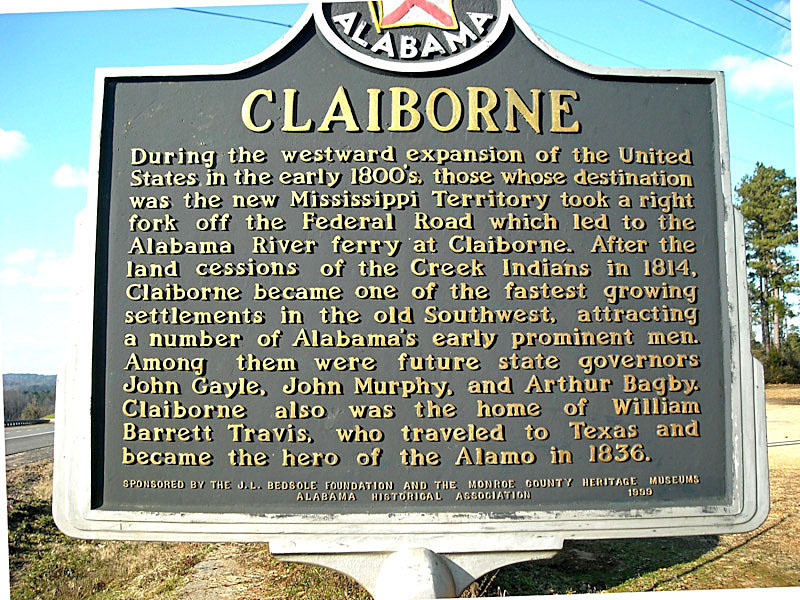 From Cahaba the steamer carrying the party proceeded to Claiborne and another reception was given him there. They arrived at Mobile on the 7th of April, where he was most cordially received. 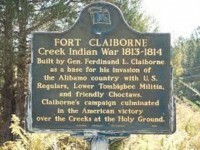 He was welcomed at Claiborne by Mr. Dellett, and at Mobile by Mr. Garrow. Mr. Webb welcomed him in the name of the State, though the governor had a part in the program. He remained in Mobile only one day. From there he proceeded to New Orleans Anticipating his visit to America, the Alabama legislature by a joint resolution approved December 24, 1824, memorialized him to visit this State. His journey through the state was marked with enthusiasm on the part of the Indians, and the observations of his secretary, who kept a journal of the trip, are most interesting and is a valuable contribution to our history of that time. Mss. data in Alabama Department Archives and History. 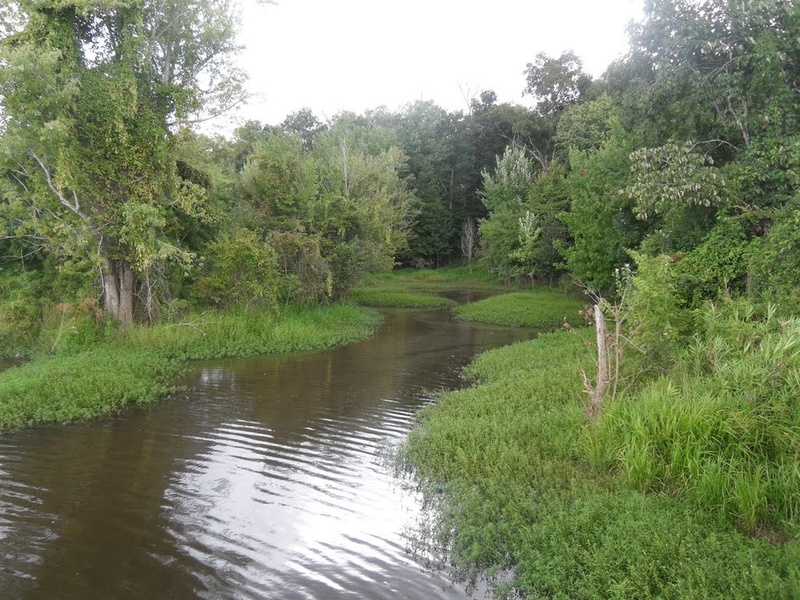 “Plans, elaborately made by Governor Israel Pickens and assorted committees, were for the French hero to be entertained in Montgomery and then to proceed by steamer down the Alabama River to Cahawba and then to Mobile. The schedule included a stop in Selma ‘to gratify the citizens of that village and its vicinity. She added that because travel timing was uncertain Selma leaders arranged for a cannon to be fired as soon as the LaFayette steamer was seen, alerting villagers and residents for miles around to the hero’s impending arrival. The original plan called for the cannon to be fired a second time to warn citizens as far away as Cahawba that the general was headed their way. Ms. Windham wrote that pranksters, aware of the plan, procured a cannon and fired it two days early. Hundreds of residents rushed to Selma’s boat landing and pranksters then fired the cannon a second time, the pre-arranged signal that Lafayette had departed for Cahawba. The pranksters created considerable consternation for townfolk, some waiting into the night for the errant arrival. Do you believe this account of DeSoto’s march across Alabama is correct? 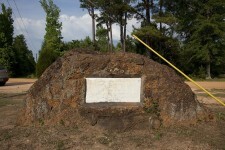 A fascinating part of Alabama history. Having been a student at Lafayette School in Montgomery, I have always been curious about this part of Alabama, and Montgomery history . Thank you very much for posting this history. I have been looking for 50 years for my paternal 2nd g. Grandfather who I would like to think saw General Lafayette on his Alabama tour recounted in the article. About 6 years after Lafayette’s visit, in 1831, my g. Grandfather was born in Decatur, Morgan County. 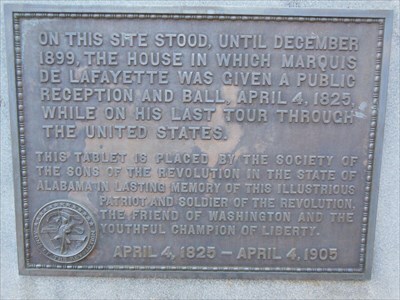 He was named Marcus Lafayette (Thompson) after the General. His twin brother was named William Albert. Shortly after they were born their father was killed in an argument with a tenant. His mother remarried Andrew “Andy” Norwood whom I also believe was a widower with children. The family, along with the Owens family moved to Marshall, Harrison County Texas. All I know about my 2nd g. Grandparents is that my 2nd g. Grandmother’s given name initial may have been “R”. William Albert stayed in Texas and married Elizabeth Dove and had 5 children. He fought for the Confederacy and died from injuries in Shelby County Texas in 1862. Marcus Lafayette went to the gold fields in California about 1850, settling on 40 acres in Sonoma County. you can run into a lot of people around here, with ancestors who were around at the time, who claim some female ancestor “danced with Lafayette.” Since he was lame, I seriously doubt that. 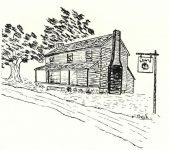 For three years (2003-06) while I was on staff at Old Alabama Town in Montgomery, Lucas’s Tavern was my office. 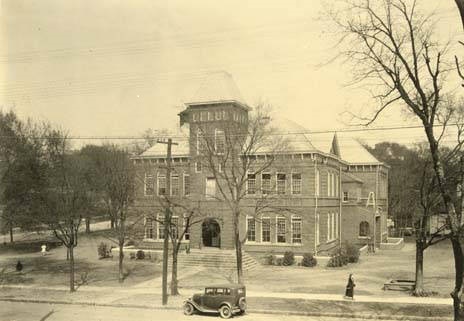 The building was originally located near Waugh, and was moved to its present location when I was a child. The original location is now a quarry, though the mining company did mark and preserve the exact spot of the tavern (I got to help them with the mapping!). 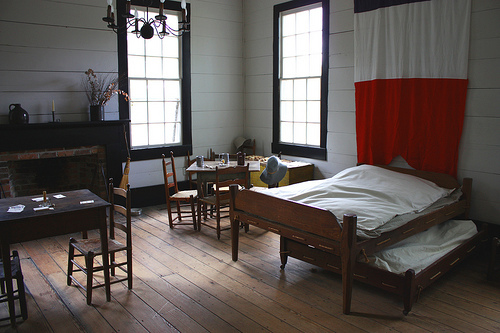 The room labeled in the article as “LaFayette’s room” is conjecture. He was entertained at the tavern, but no one knows exactly where he slept. Still, the tavern building is quite significant, and very interesting. If you find yourself in Montgomery, it is worth visiting. I was amazed to see that the legislature was conducting business on Dec. 24. As one can tell from the portrait, the Marquis was only 24 when he arrived to participate in the American Revolution. His “farewell tour” through Alabama in his old age cost considerably more than the $21,000 appropriated for official entertainments, but that was more than the entire state treasury at that time. Historians have put this into perspective by noting that the construction of the capitol building at Cahaba cost $10,000. Governors and Legislators have not become anymore fiscally responsible over the last two centuries. Evidently he made quite an impression. I have noticed quite a few Lafayettes throughout the south both as places names and personal names, including some of my own Alabama kinsmen.